When, in the sixteenth century, the Spanish conquistadors defeated the Aztec empire in Mexico and the Inca empire in Peru, their dreams of finding treasure in the New World were amply fulfilled. What they also found was that the Aztecs and the Incas were the latest in a long line of highly civilized peoples to have occupied Mesoamerica and the Andes. In this engaging book, Esther Pasztory describes the very different cultural traditions of these two areas, placing them within their historical and social contexts. Pasztory draws on a vast range of material finds, including monumental sculpture, woven textiles, pottery portrait heads, gold masks, and illustrated codices. 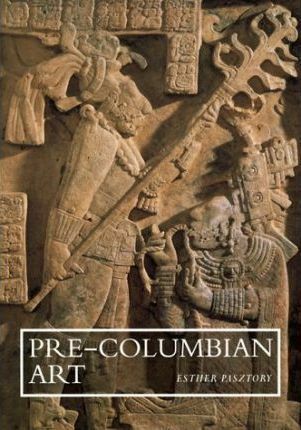 She reveals the effects of colonialism on the art, as well as the curious power that Pre-Columbian art has in turn exerted upon Western art, both in the development of art theory and the creation of art works.